The following chart, courtesy of the Bank of Japan (BOJ), shows inflation and deflation dynamics in Japan since the 1980’s. There is interesting stuff in this chart, not the least of which is the counterintuitive surge in Japanese consumer prices in the Great Recession (2008 et passim). 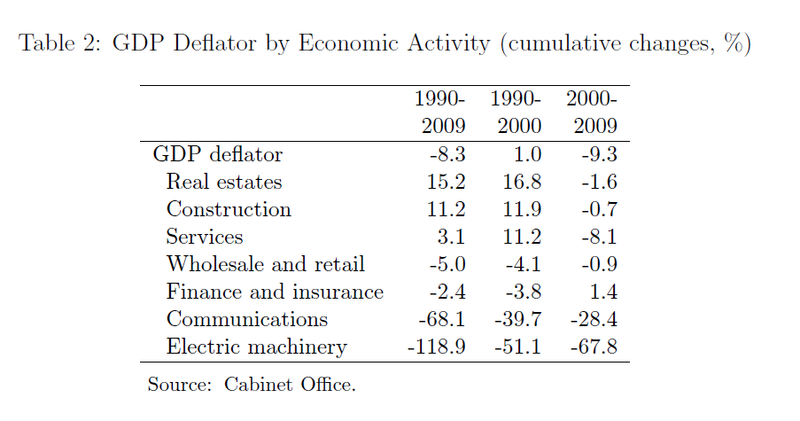 Note, however, that the GDP deflator fell below zero in 1994, returning to positive territory only briefly around 2009. The other index in the chart – the DCGPI – is a Domestic Corporate Goods Price Index calculated by Japanese statistical agencies. The Japanese experience with deflation is relevant to deflation dynamics in the Eurozone, and has been central to the thinking and commentary of US policymakers and macroeconomic/monetary theorists, such as Benjamin Bernanke. 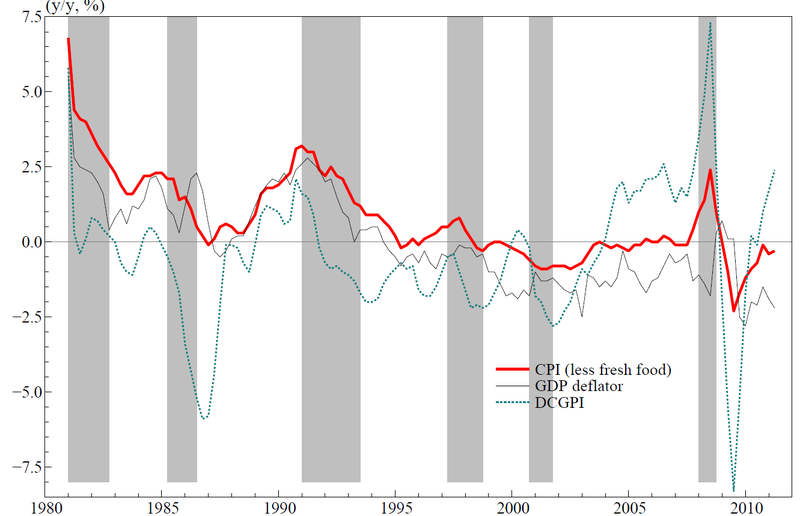 The conventional wisdom explains inflation and deflation with the Phillips Curve. Thus, in one variant, inflation is projected to be a function of inflationary expectations, the output gap between potential and actual GDP, and other factors – decline in export prices, demographic changes, “unlucky” historical developments, or institutional issues in the financial sector. It makes a big difference how you model inflationary expectations in this model, as John Williams points out in a Federal Reserve Bank of San Francisco Economic Letter. If inflationary expectations are unanchored, a severe recession can lead to a deflationary spiral. The logic is as follows: In the early stage of recession, the emergence of slack causes the inflation rate to dip. The resulting lower inflation rate prompts people to reduce their future inflation expectations. Continued economic slack causes the inflation rate to fall still further. If the recession is severe and long enough, this process eventually will cause prices to fall and then spiral lower and lower, resulting in ever-faster deflation rates. The deflation rate stabilizes only when slack is eliminated. And inflation turns positive again only after a sustained period of tight labor markets. This contrasts with “well anchored” inflationary expectations, where people expect the monetary authorities will step in and end deflationary episodes at some point. In technical time series terms – inflation time series exhibit longer term returns to mean values and this acts as a magnet pulling prices up in some deflationary circumstances. Janet Yellen and her husband George Ackerlof have commented on this type of dynamic in inflationary expectations. The BOJ Working Paper responsible for the introductory chart also considers “other factors” in the Phillips Curve explanation, presenting a fascinating table. The huge drop in prices of electric machinery in Japan over 1990-2009 caught my attention. The collapse in electric machinery prices represent changed conditions in export markets with cheaper and high quality electronics manufactured in China and other areas harboring contract electronics manufacturing. Could this be a major contributor to persisting Japanese deflation, initially triggered obviously by massive drops in Japanese real estate in the earlyi 1990’s? An interesting paper by Haruhiko Murayama of the Kyoto Research Institute – Reality and Cause of Deflation in Japan – makes a persuasive case for just that conclusion. Murayama argues competition from China and other lower wage electronics producers is a major factor in continuing Japanese deflation. The greatest cause of the deflation is a lack of demand, which in turn is attributable to the fact that emerging countries such as China, South Korea and Taiwan have come to manufacture inexpensive high-quality electrical products by introducing new equipment and by taking advantage of their cheap labor. While competing with emerging countries, Japanese electrical machinery makers have been forced to lower their export prices. 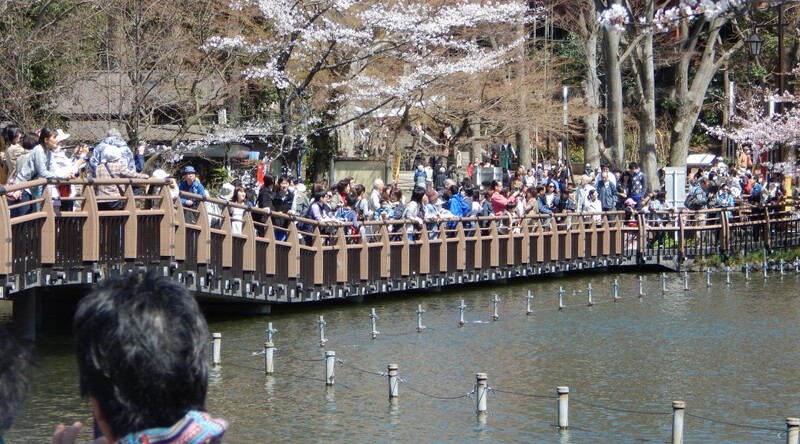 In addition, an influx of foreign products has reduced their domestic sales, and as a result, overall earnings and demand in Japan have declined, leading to continuous price drops. This explanation corresponds more directly to my personal observation with contract electronics manufacturing and, earlier, US-based electronics manufacturing. And it seems to apply relatively well for Europe – where Chinese competition in broadening areas of production pressure many European companies – creating a sort of vacuum for future employment and economic growth. ..the deflation in Japan is much more pervasive than is indicated by the CPI and its cause is a steep drop in export prices of electrical machinery, the main export item for the country, which has been triggered by the increasing competition from emerging countries and which makes it impossible to offset the effects of a rise in import prices by raising export prices. The onslaught of competition from emerging countries is unlikely to wane in the future. Rather, we must accept it as inevitable that emerging countries will continue to rise one after another and attempt to overtake countries that have so far enjoyed economic prosperity. If so, what is most important is that companies facing the competition from emerging countries recognize that point and try to create high-value products that will be favored by foreign customers. It is also urgently necessary to save energy and develop new energy sources. Moreover, companies which have not been directly affected by the rise of emerging countries should also take action on the assumption that demand will remain stagnant and deflation will continue in Japan until the electrical machinery industry recovers [or, I would add, until alternative production centers emerges]. They should tackle fundamental challenges with a sense of crisis, including how to provide products and services that precisely meet users’ needs, expand sales channels from the global perspective and exert creativity. Policymakers must develop a price index that more accurately reflects the actual price trend and take appropriate measures in light of the abovementioned challenges. Maybe in a way that’s what Big Data is all about.